Can teams plan a successful desert expedition? There are a number of routes but will teams identify the best one? Can they justify their decisions? Above all accurate planning is vital! 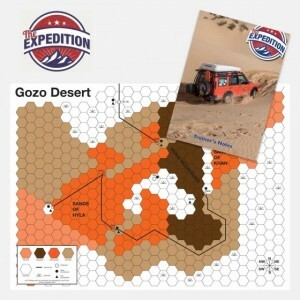 Their mission is to travel to a location deep in the desert to collect a vitally important letter (that could mean the difference between life and death). They have a map, a vehicle to travel in and a coded message that will reveal the location - but little else. What data do they need in order to plan the expedition? They must formulate eight carefully constructed questions in order to get that critical information. Now they can start planning in earnest. They’ll see there are three possible routes – all need investigating. Who does what? Do they demonstrate attention to detail? Are they conscious of time? They must also choose four people to go on the expedition itself. What attributes are they looking for? 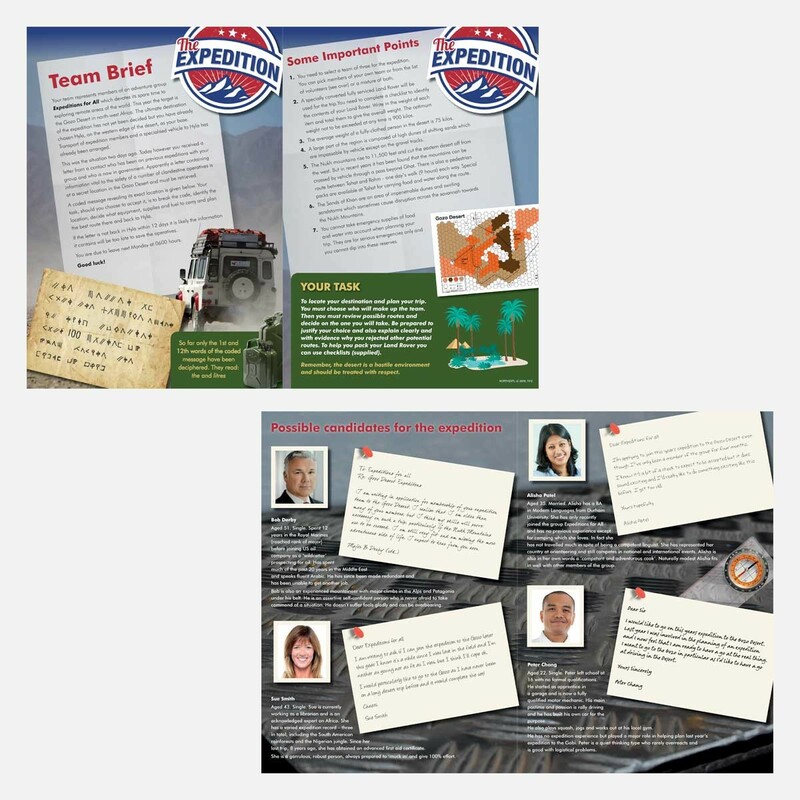 They can select members of their own team or candidates whose details are supplied in the Team Brief – or a mixture of both. Their vehicle is subject to strict weight restrictions, 900 Kg max, so fuel, water, food, first aid, tools etc must be carefully chosen for each stage of the journey. Emergency supplies MUST be carried; other items are optional - but all have weight implications. Teams use Checklists to plan the packing of the vehicle and ascertain total weights. Get it badly wrong – and the expedition fails! If all safety precautions are adhered to, of the three possible routes, only one is realistic. Will teams realise this or will they take unjustifiable risks to get back to base ahead of their competitors? 1.Briefly introduce the session, divide the group into teams and issues team briefs, a map of the Gozo Desert and a Data Request Form. 2.Teams have 15 minutes to brainstorm eight questions that will give them the data they need to plan the expedition. They note these on the Data Request Form. 3.After 15 minutes collect the Data Request Forms and hold them until the Debrief (for analysis/discussion). 4.Whatever data was requested, issue each team with a Critical Information Sheet. 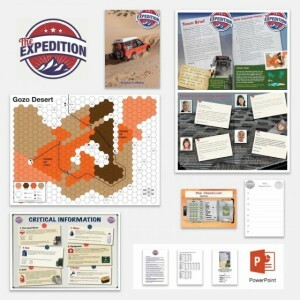 This gives teams all the information they need to plan their expedition. 5.Observe teams in action. Make notes on their teamwork, delegation, leadership, planning skills and time management. 6.After 90 minutes call a halt. After a break issue copies of the Team Review Sheet for teams to work through. 7.Ask each team EITHER to give brief feedback on how they worked together and what their final decision was, OR, if time allows, ask teams to prepare a more substantial presentation. 8.Lead a general debrief on the activity – there are lots of issues. Summarise the key lessons learned. Relate these to the workplace and how improvements might be made in real life. Full instructions, discussion notes and learning points in the Trainer’s Notes.